This storage tin is the ideal storage solution for Mini Archival Ink Pads (sold separately). 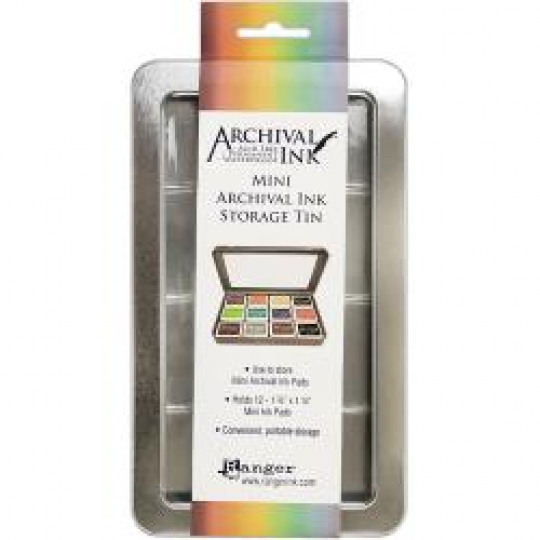 Organize and transport easily in a convenient clear windowed hinged tin. Holds 12 1.75x1.25 inch ink pads. This package contains one 8x4.5x1 inch storage tin.